• Asynchronous data rates to 115.2 kbps over 2 or 4 wires. • Point-to-point or multipoint operation. • Distances up to 9 miles (14.5 km) (19 AWG twisted pair @ 1200 bps). • Interface powered—no AC power or batteries required. 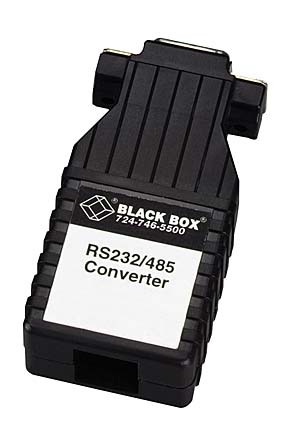 - Purchase orders accepted on Black Box RS232 RS485 converters.